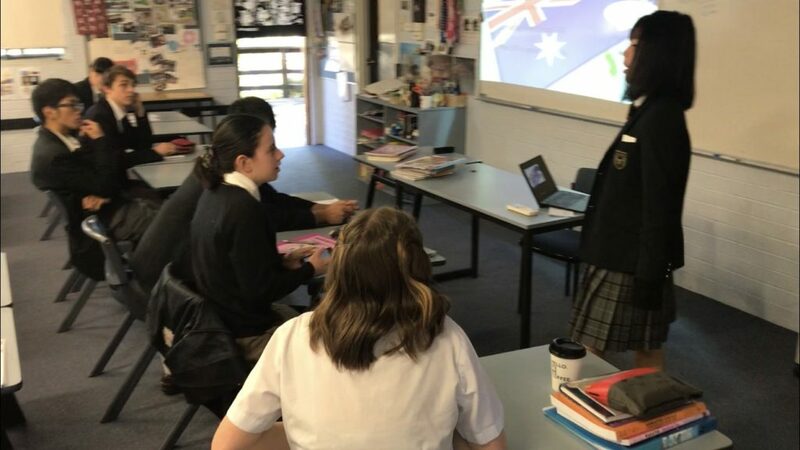 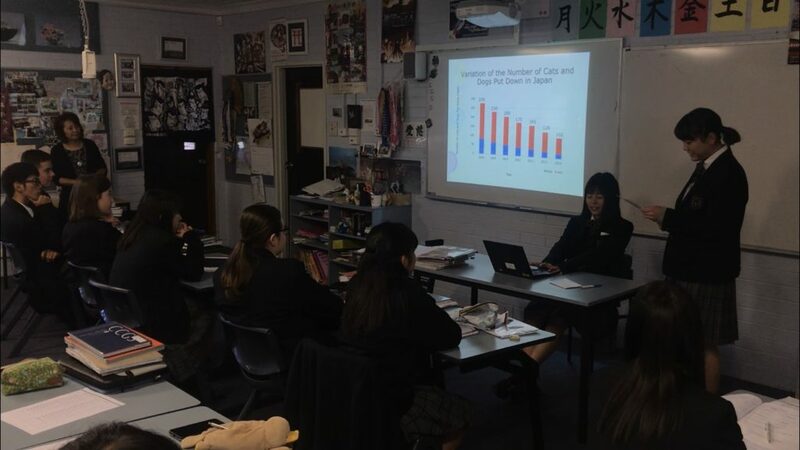 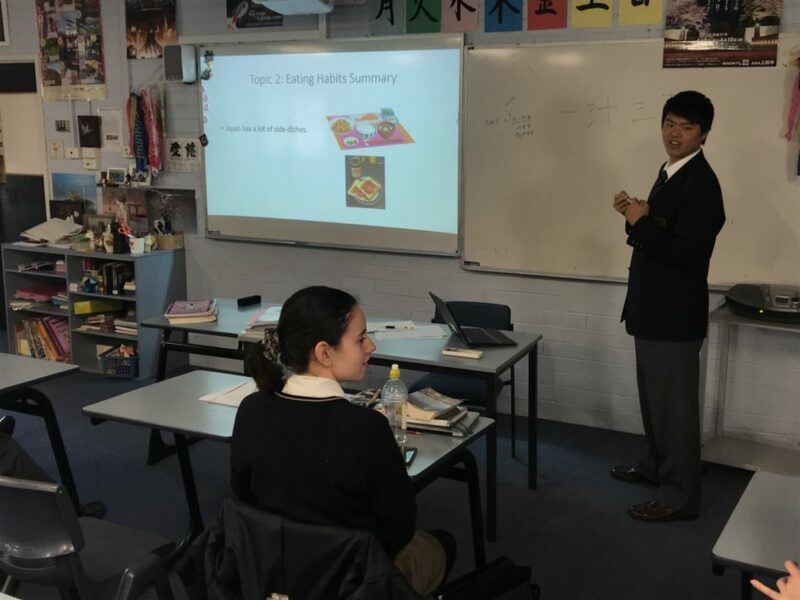 We exchange students are supposed to make an English presentation which they have prepared in Japan.We explained students’ social media use, lifestyle, pet problem and son on through the power point to CCGS students. 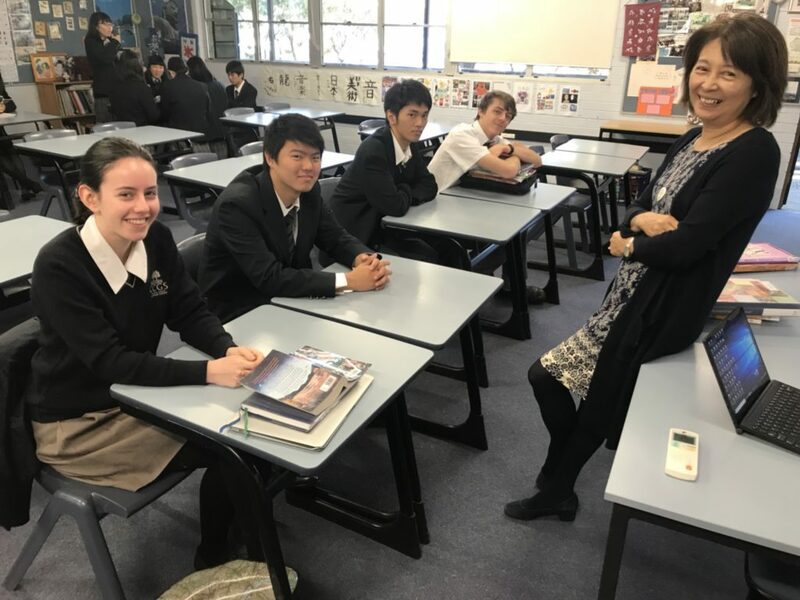 Regarding social media, we found out there were various differences in the interval of responses and how to post their photos. 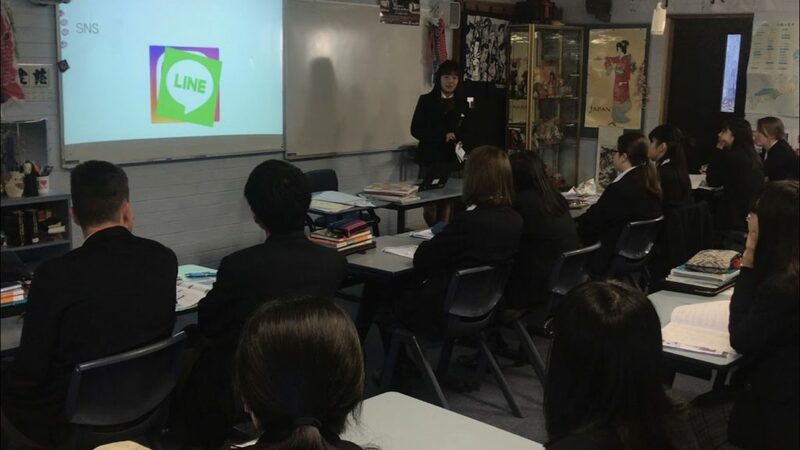 After their presentation, we also talked about online bullying and got to deeper conversation.